Kep | I see Cambodia! If you want to contemplate the Mekong Delta, it is the best option: Ha Tien – Saigon by bus. The Prek Chak Border Crossing is practical for going from Kampot and Kep provinces to Ha Tien and Koh Tral (Phu Quoc). The Prek Chak International Gate is the best place to cross to Vietnam from the Cambodian provinces of Kep and Kampot. In Vietnam it is known as Xa Xien and it is the access to Ha Tien City in the Kien Gian Province and to Koh Tral Island (in Vietnamese Phu Quoc.) From Ha Tien there are regular public transport to Saigon with different bus companies, most of them with very comfortable vehicles to cross the Mekong Delta to reach the city. It is 322 kilometers far from Ha Tien by QL 80 road, including the crossing of a ferry at Vang Cong. I share this video documentary by Teleantioquia about Cambodia. It is in Spanish, but you can understand most of the story. We are doubling it in Khmer and English… coming soon. A good resume of what is Cambodia, its history, Siem Reap, Phnom Penh, Kampot, Kep and Sihanoukville and how I see Cambodia since 1999. Albeiro Rodas in Cambodia – Part 1, Teleantioquia, 2014. Albeiro Rodas in Cambodia – Part 2, Teleantioquia, 2014. Albeiro Rodas in Cambodia – Part 3, Teleantioquia, 2014. Albeiro Rodas in Cambodia – Part 4, Teleantioquia, 2014. 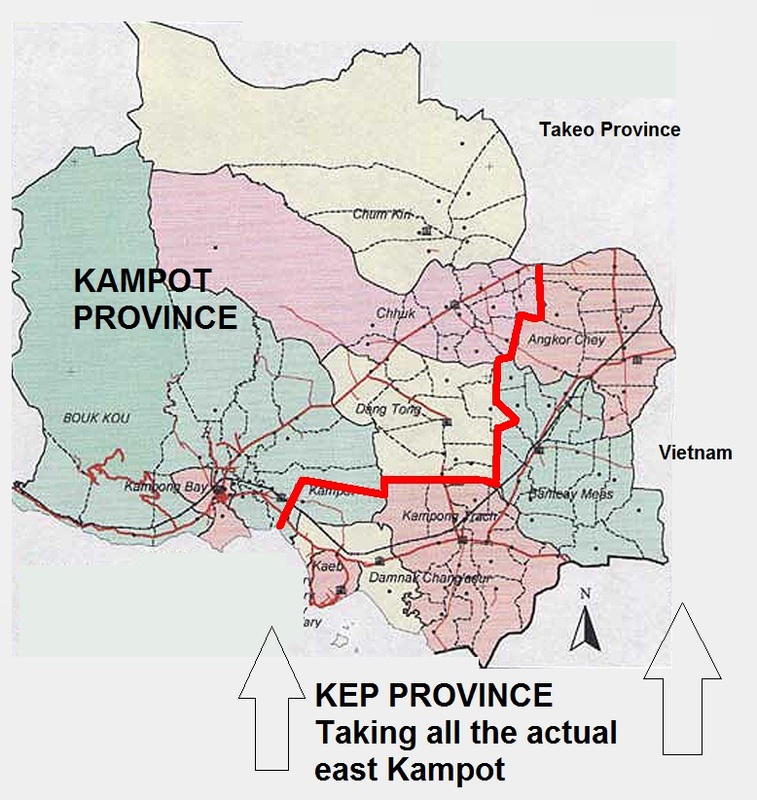 A bigger Kep Province would mean a lost of about 25% of the Kampot territory, especially all the east area bordering Vietnam. Kompong Trach, Tus Meas and Angkor Chey would become a part of Kep.